There is limited information available on the official website, but there is some info. 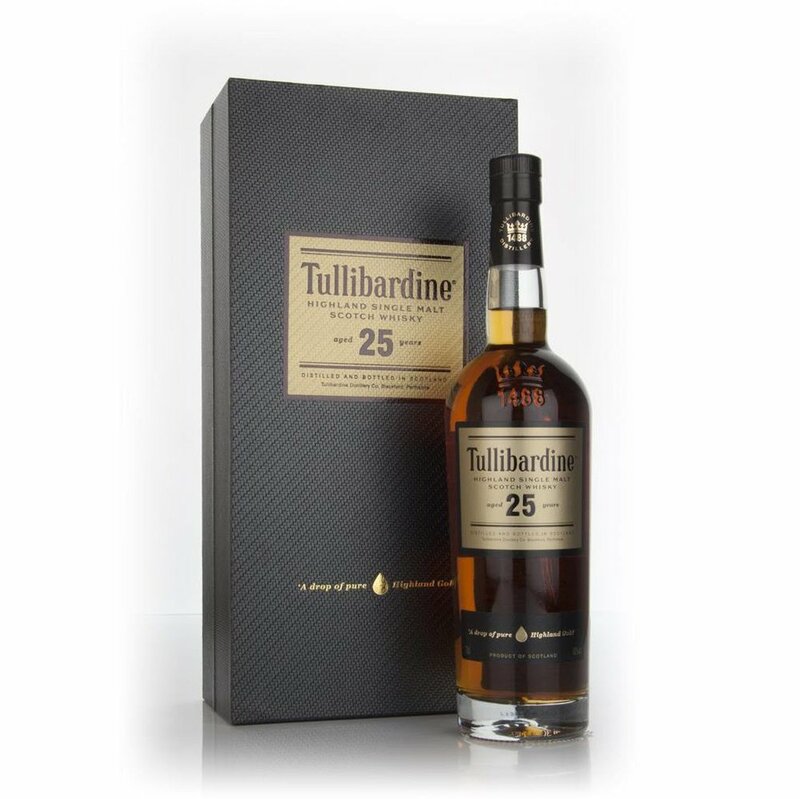 The Tullibardine 25 YO is available to buy in Sweden at SEK 1639 (85979), and online at around GBP 138, which is a very decent price for such an old whisky these days. Nose: Rather mild and nondescript at first. Sure there are sherry notes here, and a soft, sugary sweetness. But not a whole lot more going on. Vanilla and white pepper, perhaps. Taste: Medium to slim body. The sherry influence is more obvious on the palate, but this is far from a sherry bomb. We are talking mild notes again. Dried fruits with a pinch of pepper. Hints of oak. Finish: Medium long finish. Even more fruits now, and heavier on the oak. A touch too heavy on the oak? Balance: Nothing special really, and you do expect something special when a distillery puts out a 25 YO as a flagship expression in their core range. Not a bad dram, by all means, but it lacks that little extra.